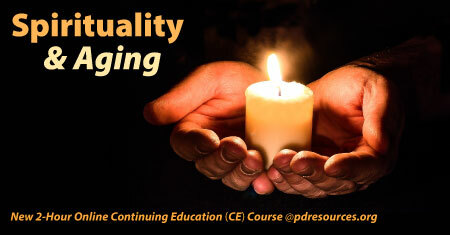 Spirituality & Aging is a new 2-hour online continuing education (CE/CEU) course that offers an insight into how spirituality influences the lives of elders in our care. Spirituality and religious beliefs provide coping mechanisms for issues related to aging and have been proven to have a protective factor. Elders with higher levels of spirituality have better mental and physical health, and are less anxious about aging.